The heart plays such an important role in our lives, not only is it key in keeping us alive and our bodies functioning, it is the home for feelings. It is the place we manifest and create from, the space where we give and receive love. 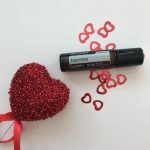 As you may know essential oils are a wonderful tool in supporting your physical health but they also possess an emotional and energetic side. They help you in processing emotions and shifting things energetically. 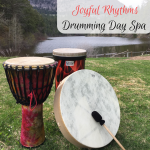 They work with all areas of the body, physical or emotional and the heart is no exception. Often times due to the experiences of life we may shut down our hearts, guard them or close them off to love. This is natural as you may have been hurt or betrayed and you naturally want to protect yourself. This is just a part of the human experience and it’s ok, but a closed heart does not always lead the happiest life or create the best opportunities. The key is to have the tools to safely open up the heart space again, heal and move forward. Can it be scary, of course it can, but the benefits will outweigh the risks. 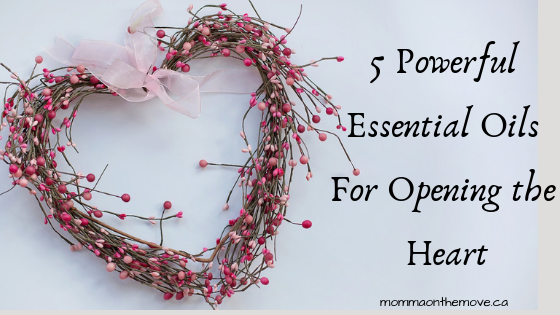 There are a number of essential oils that you can use to support opening up your heart. Which one you choose depends on your intuition and the qualities you are looking for. When using a heart oil choose the one that you are drawn to, it is the one you need in that moment. Geranium warms the body and opens the heart. It supports loving yourself, compassion and self healing. It supports you to more easily let go of judgments, angers, and resentments, and move you into the experience of unconditional love. Aiding you in letting go of emotional and mental baggage which can stagnate our relationships and block feelings of connection and love. 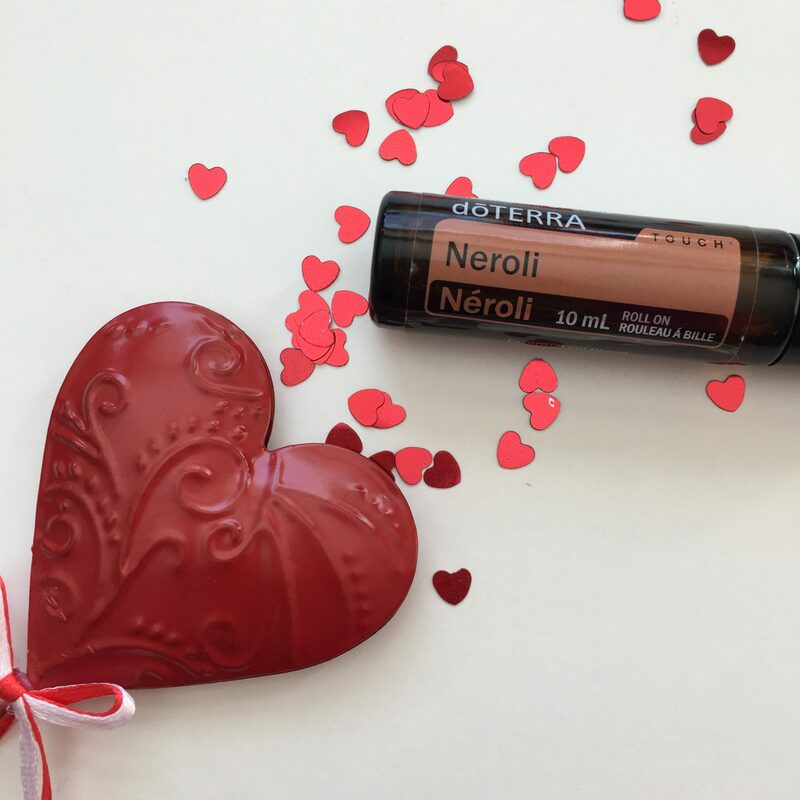 Neroli will open the heart, balance emotions and uplift the spirits. It’s soothing and euphoric in its actions, instilling comfort and strength, encouraging the release of repressed emotions fostering forgiveness. Jasmine soothes the heart, is stabilizing and balancing. It can relax and uplift as well as accentuate the sensual in your life. Rose helps to soothe and strengthen the heart. It helps to alleviate depression and promote a sense of peace and harmony. It opens up the heart and soul to love and spiritual connection. 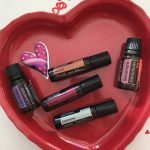 Use these heart oils by putting a few drops in your diffuser or applying topically with one drop directly on the heart space (the sternum between the breasts). You can also create a rollerbottle. Add 10-15 drops of your chosen heart essential oil in a 10 ml rollerbottle and top it with fractionated coconut oil. 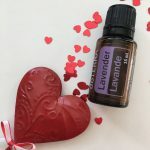 Wonderful uses for heart essential oils are any time you want to open up the heart, hear someone at a heart level, or soothe and strengthen the heart. 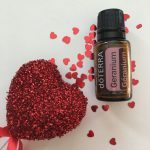 This could be during meditation, your yoga practice, before you go for a walk, having a conversation with someone or simply using it in your diffuser to support the heart while you work. Some of you may be concerned that opening up your heart too much can make you vulnerable or a person that people can take advantage of. This is not the case, as there is a difference between having an open heart and having boundaries. Boundaries are what you have in place to ensure that you are true to yourself and your beliefs. Living from your heart space creates a great capacity to love, be genuine and caring for yourself and others. Boundaries do not need to be compromised when living from your heart. 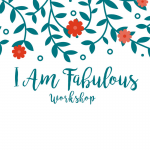 In fact, you will find smoother communication with others, an ability to manifest more of what you want and be generally happier in your life. 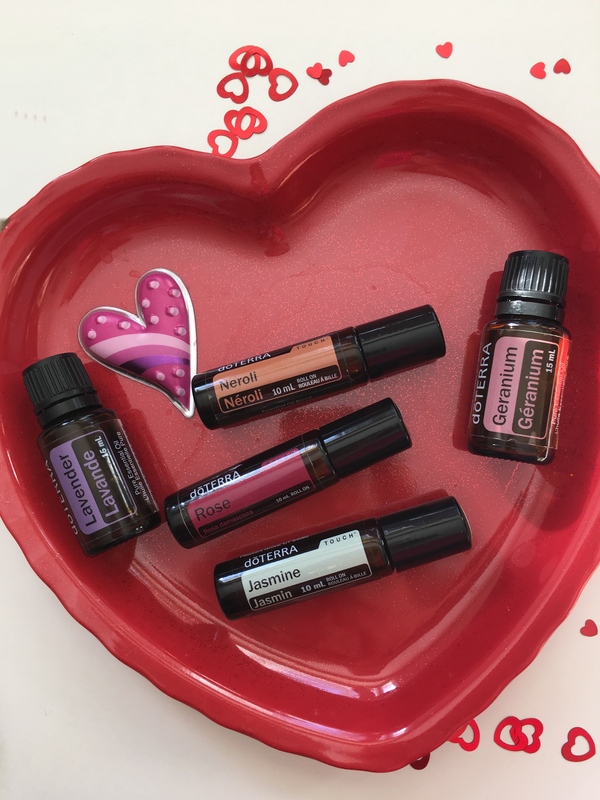 Play with these heart oils this month and see how things open up and blossom for you. 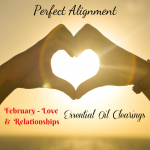 If you would like to explore more about the emotional side of essential oils I would invite you to experience a Perfect Alignment Essential Oil Clearing. The theme for February is Love & Relationships. It is designed to open up your heart space and bring more love into your life. And this is any kind of love, not just romantic love but love with others and love for yourself. It will bring in love and acceptance, removing any barriers you may have placed around your heart and bring you into a space where you are open to giving and receiving love. 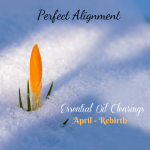 Message me to connect for this clearing. 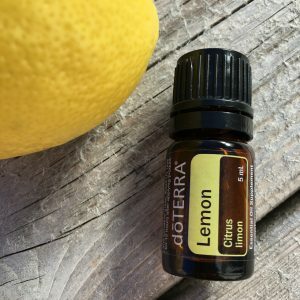 As I was busy cleaning this morning with my Lemon essential oil, I got to thinking just how many things I use this oil for on a daily basis. Yes daily! Lemon essential oil is one of the most versatile oils as it can be used for so many different things! And it is not very expensive either. For about $13 I can buy a 100% certified pure 15ml bottle which gives me about 250 drops, which I think is quite reasonable considering all the wonderful things it can do. Then I thought I really need to share this with others as maybe they are not aware of all the great things it can do and how economical it is. 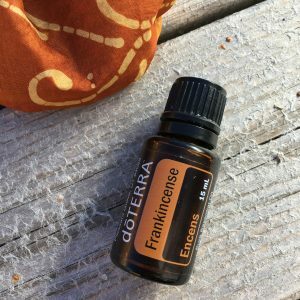 I love that it is a natural product that I can use daily to support me and my family’s health as well as making my home smell fresh and clean. Cleansing and Detoxifying – every morning I use 1-2 drops of lemon essential oil in my water. Adding it to your water first thing, helps to flush the digestive system and rehydrate the body. *The benefit of using the essential oil over fresh lemon is the internal fruit of the fresh lemon can weaken the enamel on your teeth and damage the gums. Because the essential oil is extracted from the rind you still get the benefits of the lemon without causing damage. Supports healthy digestion – packed with Vitamin C the acids in lemon encourage the body to process the good stuff in your foods more slowly. Alleviates allergies – when combined with lavender and peppermint, lemon supports alleviating seasonal allergies. Boosts immunity – lemon has antifungal, anti-infection properties and has a high vitamin content, therefore is fantastic for boosting the immune system. Uplifting and energizing – citrus oils in general are naturally uplifting and energizing. Diffusing lemon will uplift the spirit and energize the body. Clears confusion and helps bring order to a number of tasks – add a few drops to your diffuser to help you prioritize and get things done. Cleanses and purifies the air – add a few drops of lemon to a glass spray bottle and spray on counters and other surfaces to clean. Add to a diffuser to cleanse and purify the air. Cleans off sticky residue – you know when you have that sticky residue left over from tape or a sticker that can be challenging to get off? Using a drop of lemon essential oil works wonders and takes it right off! I used to use Goo-Gone but am very happy to now have a non chemical solution. 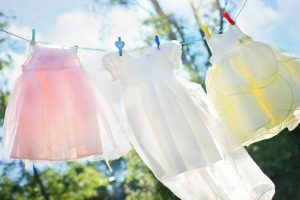 Freshens your laundry – Add a drop or two to the soap dispenser in your laundry to prevent or get rid of that musty smell when you leave your laundry sitting too long. Alternatively, you can also add a few drops to your dryer ball when you pop the clothes in the dryer. I just love the scent of lemon in general and often find myself just giving the bottle a sniff. It’s such a lovely sweet and refreshing smell. Lemon is also great in many diffuser blends adding in that freshness and all the other benefits of lemon! 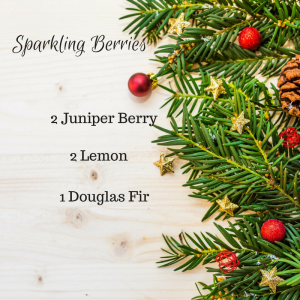 Enjoy this Holiday diffuser blend with a little bit of lemon and a few other scents for the holidays. 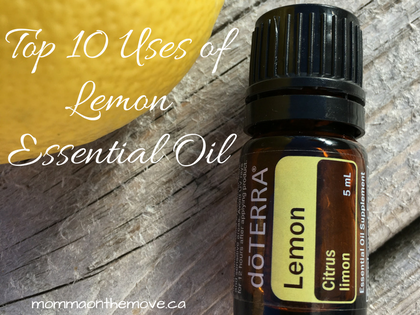 What are your favorite ways to use Lemon Essential Oil? 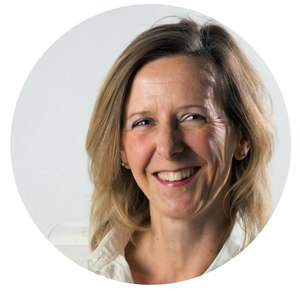 Interested in learning more about essential oils and how they can support you and your family’s health and wellness? Contact me for your free wellness consult. Peppermint essential oil is one of the most commonly known and used essential oils yet many people do not fully realize the benefits of this fabulous oil. 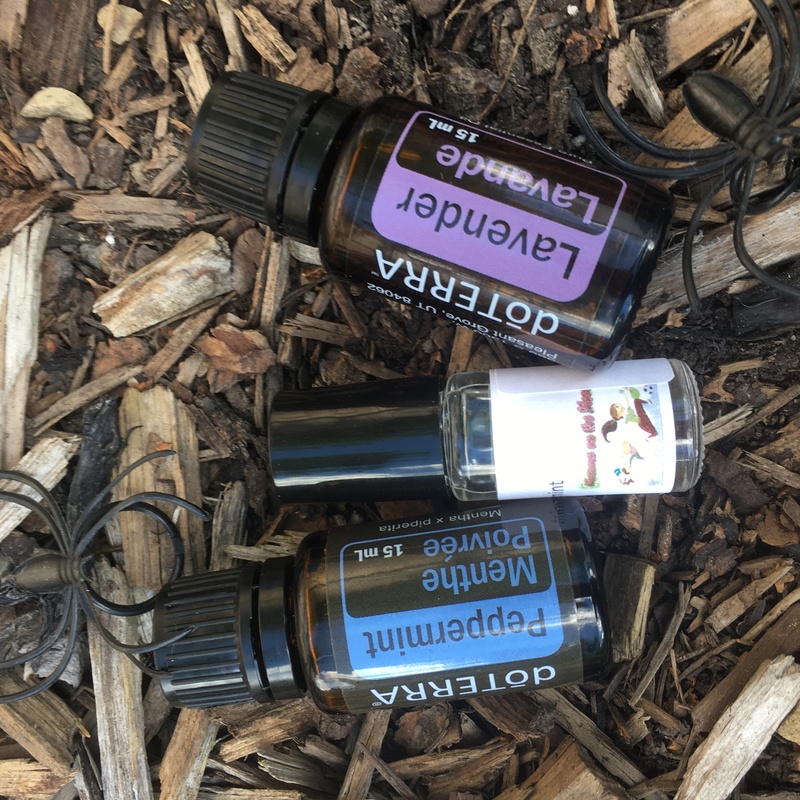 Personally I love peppermint, well all things mint really, I’ve always loved the freshness of it and the invigorating smell that peppermint provides. 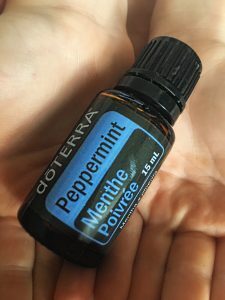 I’ve used peppermint in many things from smoothies to chocolates but until I embarked on this journey learning about oils I honestly thought that that was about all it could do. Sure it smelled nice but that was it right? Invigorating and energizing – if you’re experiencing that afternoon slump or just need a pick me up, peppermint essential oil will do the trick. Place a drop in your palms and rub them together then loosely cup your hands over your mouth and nose and breathe deeply. Within moments you’ll feel energized and refreshed. You can also diffuse peppermint with wild orange to enhance the effects and keep you energized all day. 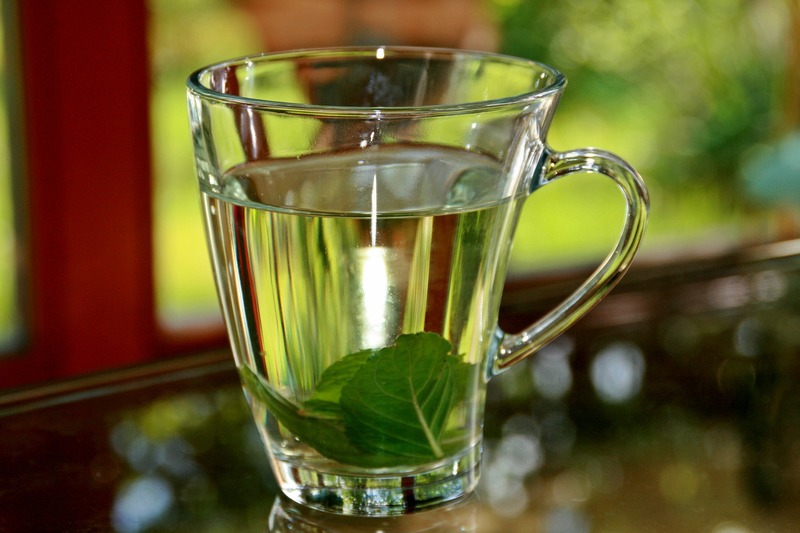 Supports digestion – add a drop of peppermint into your water to support healthy digestion. This is also very effective if you’re experiencing digestive discomforts to alleviate those as well. Reduces heartburn – eliminate the discomfort of heart burn within minutes. Put a drop on your hand and lick it off or add to your water and drink. Alleviates headaches – place a drop on the back of your neck or on the temples to assist in eliminating headaches. Be careful when placing it on your temples not to get it too close to your eyes. Relieves muscle tension and stress – ok I didn’t think this one would work but my shoulders were feeling so tight one day I tried it. Put a drop on the area that is bothering you and give yourself a nice little massage 🙂 not only will you immediately notice the cooling sensation which is nice in itself, but it will start to release and relieve muscle tension (my shoulders say thank you). Supports breathing – peppermint clears the airways and opens things up for good clear breathing. I have a friend who’s having some breathing issues, having a hard time taking a full breath and constantly coughing. She started drinking peppermint tea on a regular basis (1 drop peppermint oil in the bottom of your mug, then add hot water and approach the mug respectfully) which has reduced her cough and opened up her airways so she can breath more deeply. Freshens bad breath – add a drop on the tongue or to your toothpaste for fresh clean breath. Improves mental focus and clarity – place a drop in the palm of your hands, rub them together and then cup your hands gently over your nose. Breath deeply, this will bring you back to a place of focus and a clear head. Natural insect repellant – there are many bugs who do not like peppermint. Ants, spiders, ticks, mosquitos and even lice will be repelled. Allergy relief – because it is highly effective in opening up the nasal passages it can clear out the muck and pollen during allergy season. 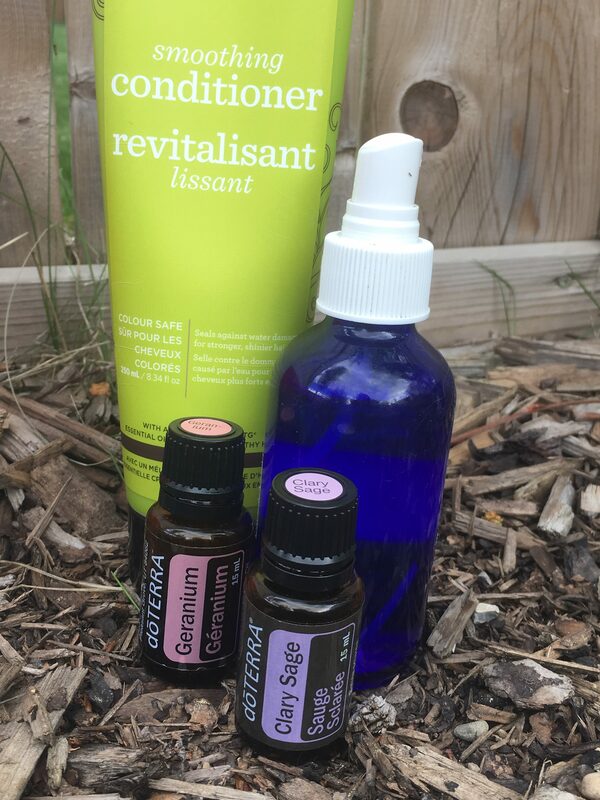 Taken in combination with lemon and lavender essential oils this can be a very effective method of clearing allergies during allergy season (In fact, we recently went camping and soon after we arrived at the site my daughter got red itchy eyes and her face started to puff up. I gave her the lavender, lemon, peppermint combination and within 20 minutes she was clear and comfortable). 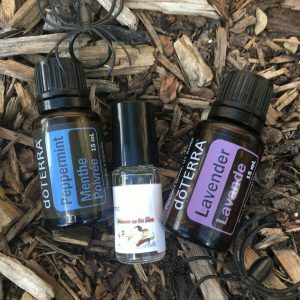 Anti itch – any time my kids get a bug bite we immediately put on a drop of peppermint and lavender which cools the redness and soothes the itch. Ok so that was 11 but I thought I’d throw in a bonus one. I also use peppermint essential oil in my homemade chocolates as well as many of my smoothies. It works great in a pinch when I don’t have any fresh on hand (be aware though one drop is likely all you need). We love peppermint and use it daily in supporting our health and wellness. 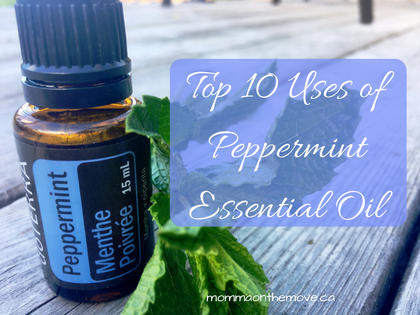 Give it a try and see how peppermint essential oil benefits you and your family. *One thing that is important to note is that not all brands of essential oils are safe to ingest. Not all oils are created equally and many store brands have synthetics and fillers in them. If one brand gives you a headache this could be why, so try another brand. Make sure that your essential oils are 100% certified pure essential oils. I trust the doTERRA Brand Essential Oils because they exceed the highest quality standards and many of them are safe to ingest. They are clearly labeled and indicate whether or not you are able to use them internally. 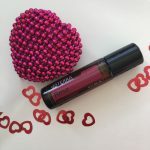 They are also highly potent oils because they are 100% pure and of such high quality – so you will be using less oil for the same effect compared to other brands. 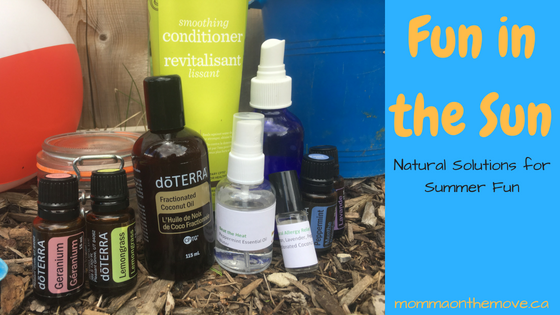 Want to learn more about essential oils but don’t know where to start? 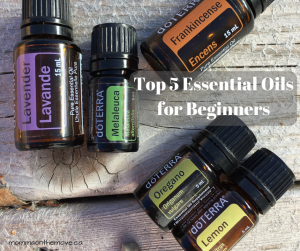 Check out the Top 5 Essential Oils for Beginners. Have you ever had one of those days when you just couldn’t concentrate? You had a mountain of things to do but just couldn’t focus? It is literally like we are in a fog and we can see to the other side but can’t get out. The good news is we can do something about it. 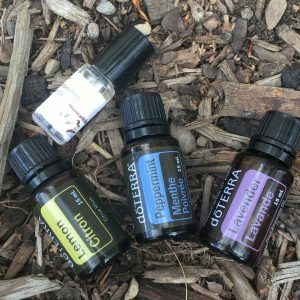 Recently my colleague and friend, Krista Strayer of Flourish Yoga, wrote a fabulous piece on the Top 10 Essential Oils that can be used to clear brain fog. 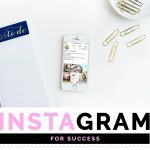 Read on below to discover how you can get focused and get the job done quicker! And comment below with your favorite essential oil to lift the brain fog. 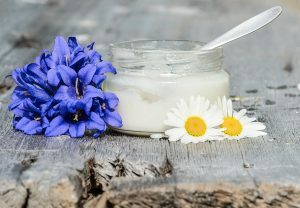 Essential oils support brain function on many levels from oils that stimulate the brain, calm the nervous system to relieve the fight or flight response, to oils that help reduce inflammation throughout the the body which can also lead to brain fog. Essential Oils directly access the brain through the olfactory bulb which is strongly linked to emotional state and memory function. 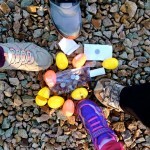 The olfactory system is connected to the hippocampus, brain stem, auditory cortex and many other areas of the amygdala. This means that through our sense of smell we are able to positively influence thought processing. 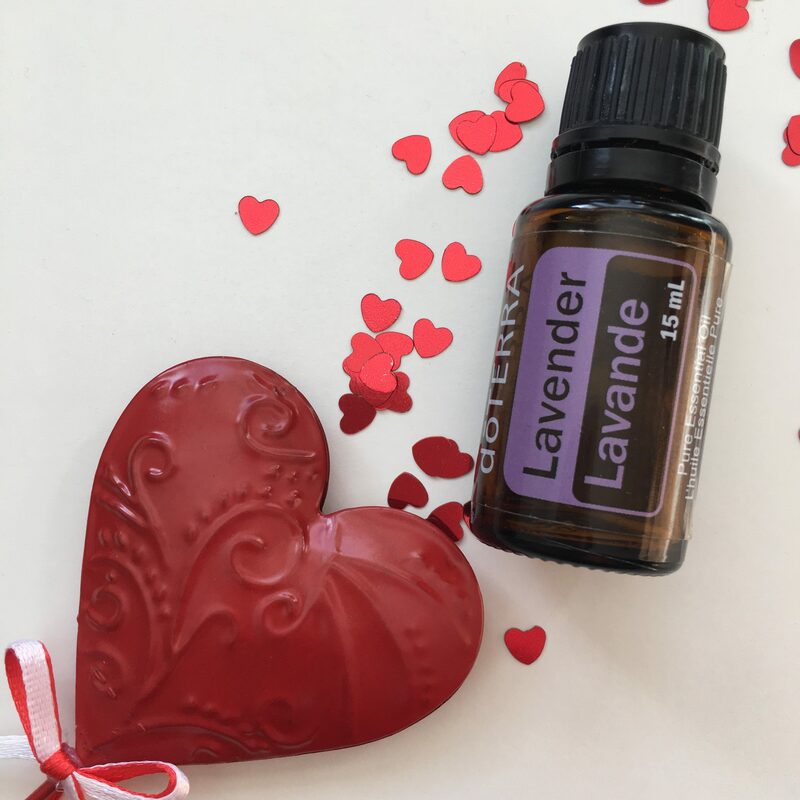 Going beyond the scent of Lavender reminding you of your Grandma it will also help to calm the brain stem and assist with auditory learning. Another way that essential oils assist with brain health is through the blood-brain barrier. The brain has a unique built-in protective system that prevents toxins and harmful substances from affecting the brain. The blood vessels are lined with endothelial cells that create a barrier between the blood system of the brain and the rest of the body. Many drugs are not able to cross this barrier to help heal the brain. Essential Oils have this ability to cross the blood-brain barrier and act quickly to reduce inflammation and assist cellular regeneration. 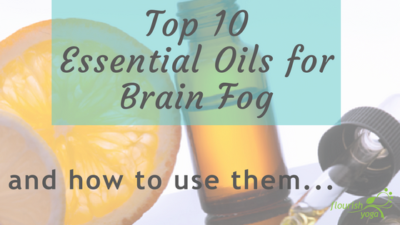 My top 10 Essential Oils for Brain Fog to keep the brain healthy, reduce stress and focus better. Mix and match these essential oils together to create a brain and focus blend to use in your diffuser and roller-bottles with the oils you have in your cupboard. Don’t use oils internally unless they are CSPG Certified such as Doterra Oils. Peppermint is a versatile oil that helps with everything from indigestion, bug repellent, and improved athletic performance. It’s most widely known though for its ability to perk us up and keep you alert. Spritz peppermint on your child’s shirt, sip it in water or inhale from the palms of your hands with a drop of wild orange and frankincense to improve mental clarity and focus. Used in ancient times by scholars to increase focus but wearing rosemary leaves around the neck. 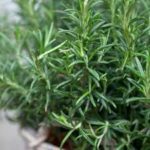 Rosemary contains the chemical carnosol which reduces inflammation and helps nerve tissue growth. Apply diluted rosemary to the back of the neck or bottoms of the feet to boost memory and brain function. Or diffuse with frankincense and peppermint and while studying. This grass root harvested in Haiti is known for its ability to ground and soothe emotions. 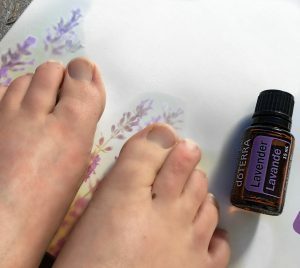 Diffuse or apply topically with Lavender to the feet, spine or back of the neck to improve focus and concentration. Combine with Melissa and diffuse or apply to pulse points to decrease anxiety and severe stress. 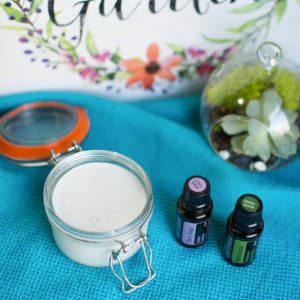 Pamper Mom this Mother’s Day with these easy DIY Essential Oil gifts. These gifts will not only relax and pamper her but she’ll appreciate the love that was put into them when they were made specially by you. Mother’s Day is another holiday where we can go a little crazy with the spending and the gifts (average spending in Canada is about $100) because we want to show Mom how much we love and appreciate her. Of course as we Mom’s deserve it! We do a lot and we work hard. 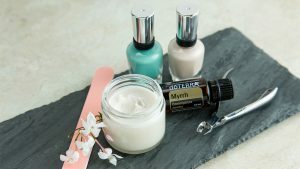 But if you’re looking for a loving gift for Mom that shows you appreciate her and that’s easy and affordable then try one of these DIY Essential Oil gifts that she’s sure to love! 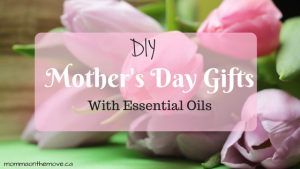 Not only are these gifts a great way to pamper Mom and tell her that you love her, the essential oils in them provide many benefits that will support her physical and emotional health, naturally. If Mom loves to putz in the garden then this is the perfect gift for her. This easy-to-make Gardener’s Hand Soap exfoliates, cleanses, and moisturizes all in one use! Clary Sage is an oil that has relaxing and soothing properties that help with rejuvenation and calming of the skin. 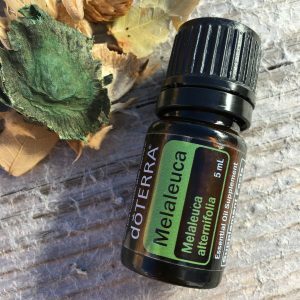 While Melaleuca known for its purifying qualities, is also good for cleansing the skin and promoting healthy immune function. A homemade cuticle cream is a great way to bring moisture and health back to your nails. Add a little extra to your gift for Mom and help her apply it with a mini hand massage! This cream can also be used on your hands, lips, or anywhere you have dry spots. 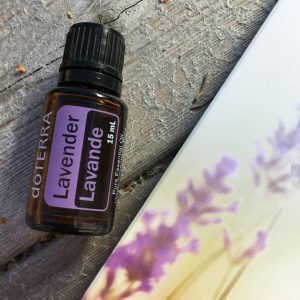 If you choose Lavender to add in be ready for calming and relaxing benefits, if you choose Myrrh it’s soothing to the skin and promotes emotional balance and well being. Help Mom wake up her senses in the morning or calm them down at night with a scented body wash. Using essential oils can provide valuable nourishment to your skin, if it contains the right ingredients. For an energizing body wash choose oils such as Peppermint, Grapefruit or Lime. 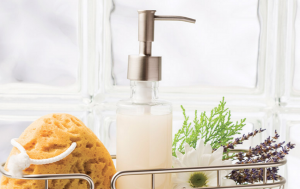 For a calming body wash choose Lavender, Bergamot or Roman Chamomile. 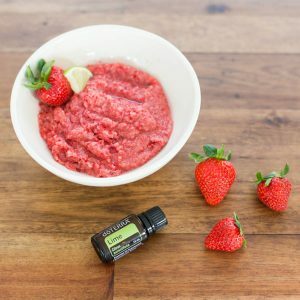 Mom can exfoliate and soften her skin with this easy to make body scrub. The Ginger essential oil creates a balanced, grounded and feeling of empowerment, as well as supporting healthy joint function. While Lime purifies the skin and positively effects mood. If Mom likes to smell like dessert than this is the body scrub for her. 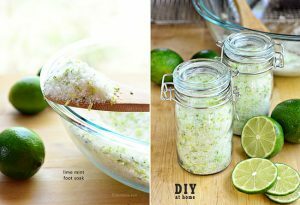 Super easy to make and with all the uplifting benefits of Lime essential oil. Help Mom relax and soothe sore muscles with this easy to make neck wrap. 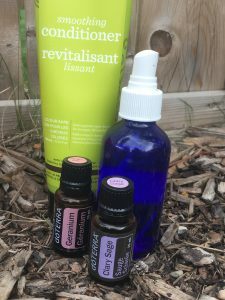 When used with essential oils, they can provide additional relief and benefits. 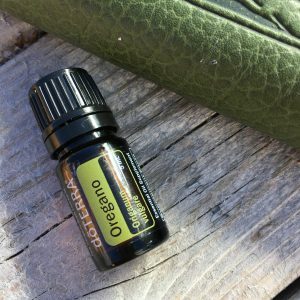 Incredibly easy and affordable, just add in your favorite essential oil. Bath bombs are a fun gift as they add excitement to your senses and a little entertain as you watch it fizz as it dissolves in the water. 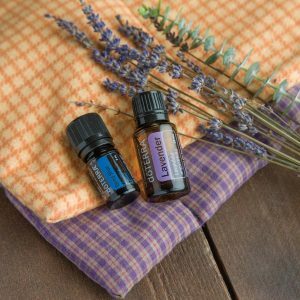 Add your favorite essential oil to invigorate – like Wild Orange and Spearmint or relax like my favorite Lavender, Cedarwood or Frankincense. 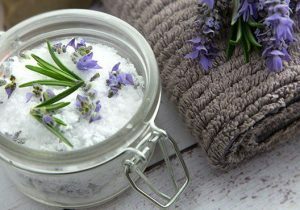 These bath salts may be the easiest of our do it yourself gifts for Mom. Simply take 2 cups of Epsom salts and add 10-15 drops of Lavender essential oil – mixing them together in a glass jar or bowl. If you want to get fancy add some dried lavender pieces (I’ve seen them at the Bulk Barn) for a little added color. 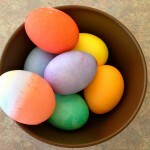 Store in an airtight container, wrap a bow around it and give it to Mom! 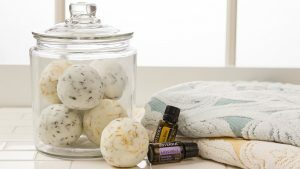 Have her add it to her bath to soothe the skin and relaxation. This easy to make foot soak will energize, uplift and refresh. Let Mom soak her feet and take it easy for a bit. Maybe even bring her a nice glass of wine or coffee to sip while she soaks. No list of pampering for Mom would be complete without a moisturizing lip balm. 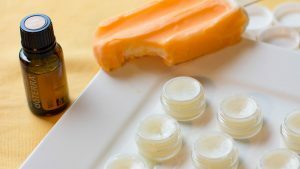 A common must have this natural lip balm is full of health benefits and yummy flavor! The fresh, sweet scent of Wild Orange is energizing and provides immune support. No matter what gift you choose to make for Mom this Mother’s Day, she’ll definitely know that you love and appreciate her! 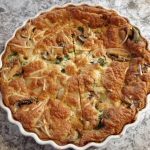 Whether you make one or two I’d recommend you make enough for yourself to either join in with her or enjoy yourself later, might as well. I know for myself that I love the scents of essential oils and when I’m working with one of my favorites I can’t get enough! Plus it’s a great excuse to go take some me time later – can’t waste what I’ve made. May you enjoy your day as a Mother or spending time with yours in some way. Happy Mother’s Day! 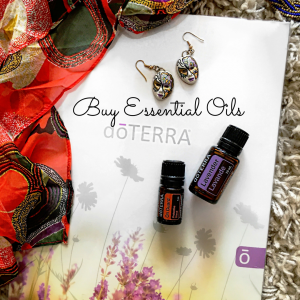 Interested in learning more about essential oils or have a question? Drop me a line I’d love to chat with you.